Price: $109.00 (regularly $199.00) 46% Off! 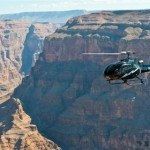 The Highlights Air Tour takes guests on a 70-minute airplane tour from Las Vegas and shows them the unique beauty and contours of the western end of Grand Canyon. 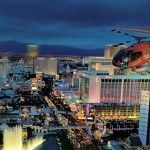 Aboard a Vistaliner aircraft, specially equipped with oversize windows, you will see amazing aerial views of Lake Mead, Hoover Dam, The Colorado River and the Grand Canyon. Taking postcard ready pictures is child’s play on this Adventure! With its value price, and 4 hours run time, it’s a great way to get the family out of the city, over Grand Canyon, and back without burning your entire day, or your wallet.